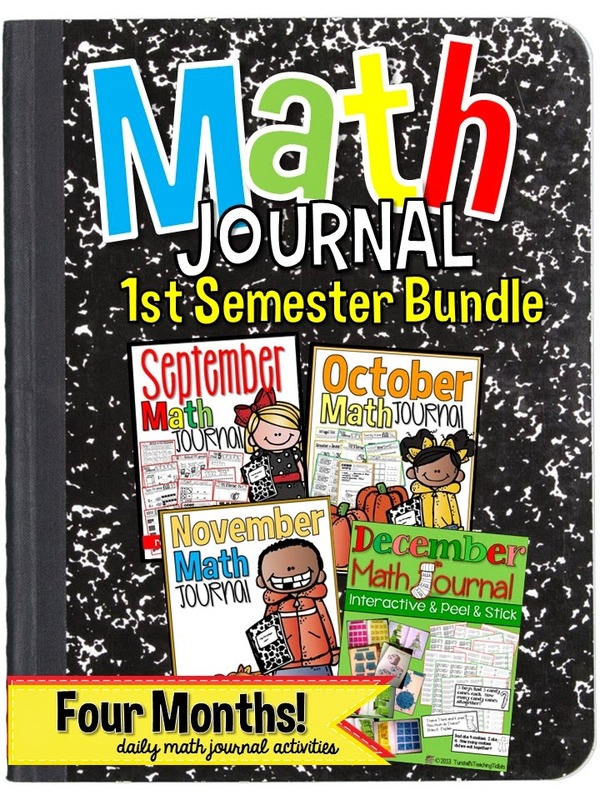 Just a quick post to share some helpful hints on how we are using our math journal in first grade this year! 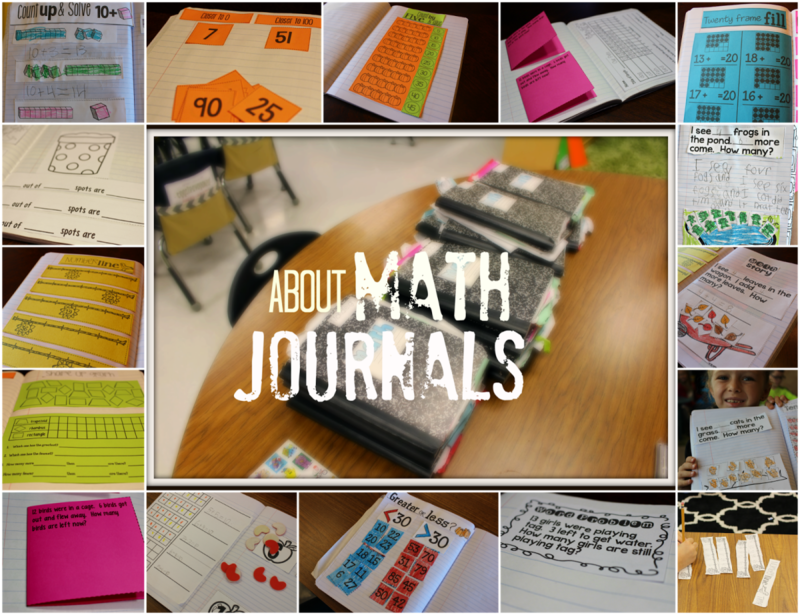 Last year we embarked on math journaling. At first I was the one kicking and screaming. I don’t like to have to start doing something during a school year that I am not sure I can keep up with! Plus I wanted it to be standards based, authentic, and worth while! Did I mention this is first grade? I was stressing! 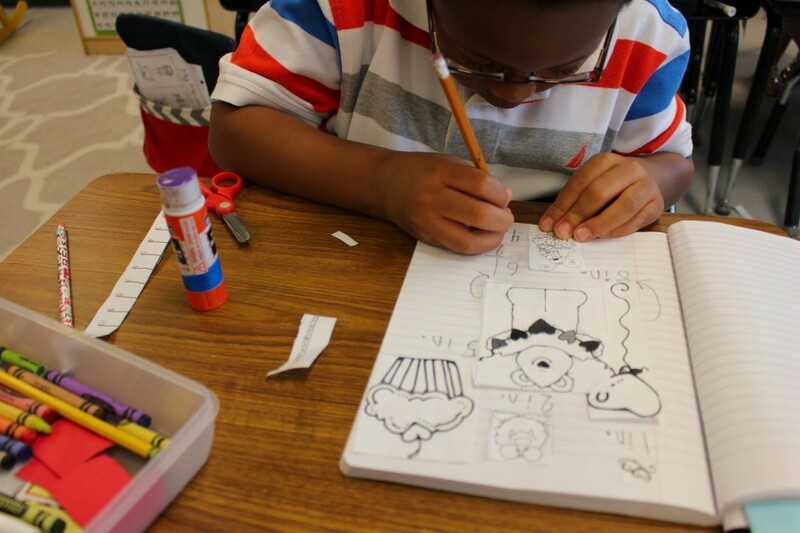 Students literally cheered when we began building our journals. 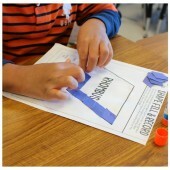 Colored paper and interactive activities seemed to be the tipping point for classroom fun! 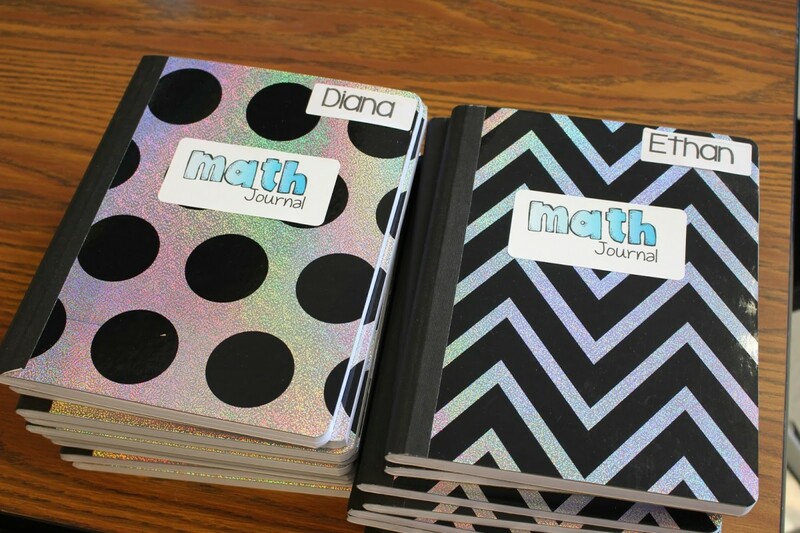 In our guided math block, math journal is one of 5 rotations. Students get ten minutes for each rotation this year. 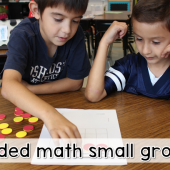 Once students are comfortable with the format of activities, they can finish these daily within the time frame. Some students need a longer time. For this reason I have them stay and finish before rotating. Most days this is enough motivation to keep students working and motivated to finish. When needed, I will allow journal activities to carry over two days. It depends on the skill and the activity. 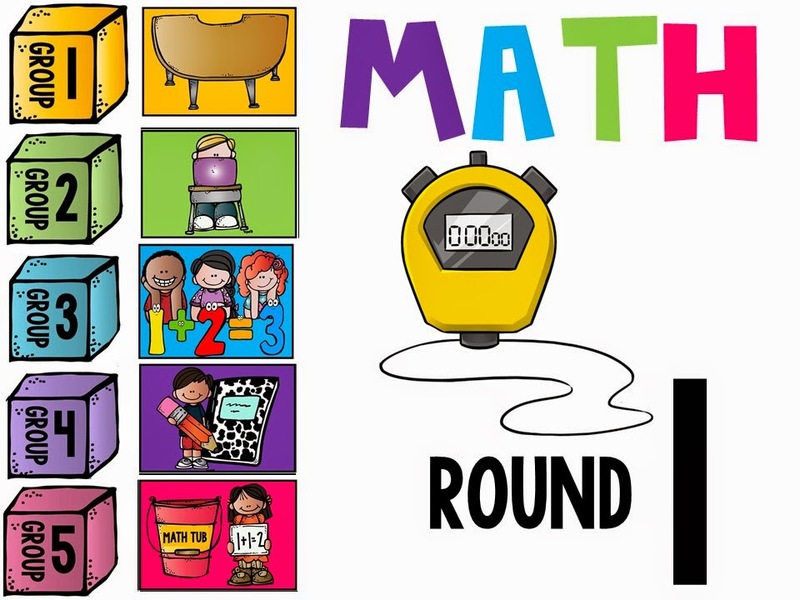 Here’s one example slide of our math powerpoint that runs during guided math. Click this picture below for a post just about math stack. After beginning journaling I realized that all that cutting resulted in paper everywhere! We have a tidy tub at each table for all trash scraps. Changed.My.Life. If you want cute tidy tub labels they came from here. A helper empties each tidy tub into our recycle box at the end of the day! 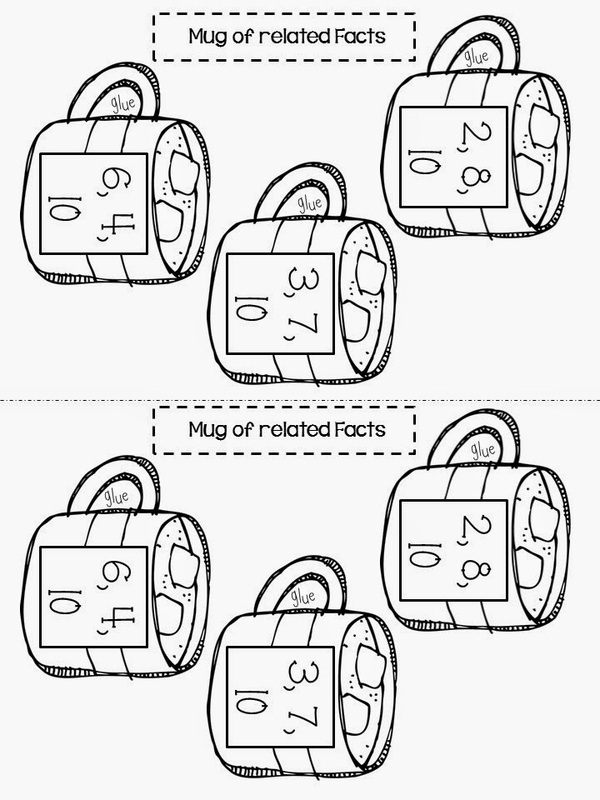 Below this journal activity was measurement. 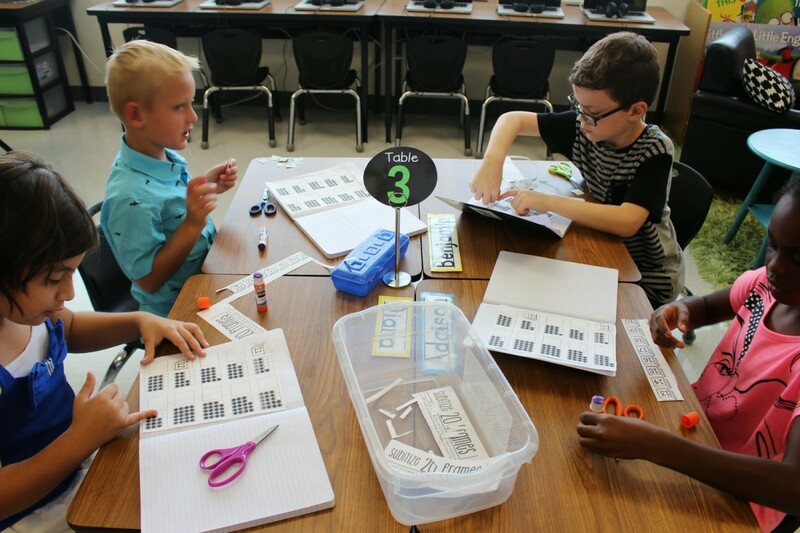 Students cut out the ruler and different sized pieces. They measured and labeled each picture for their journals. Splurging on a packet of colored paper makes a HUGE difference. My students don’t always have enough time to color their journal activities, but they love the bright pops of colors as they flip through their journals. It’s part of that pride of ownership thing we have going on with those journals. If you want to grab a journal freebie to see how you like it, just click the picture below. These came from my first semester bundle so they may not be applicable to what you are studying at this moment. It will give you an example of the formatting though! Here’s a couple journal pages that may work for you during this time of year! 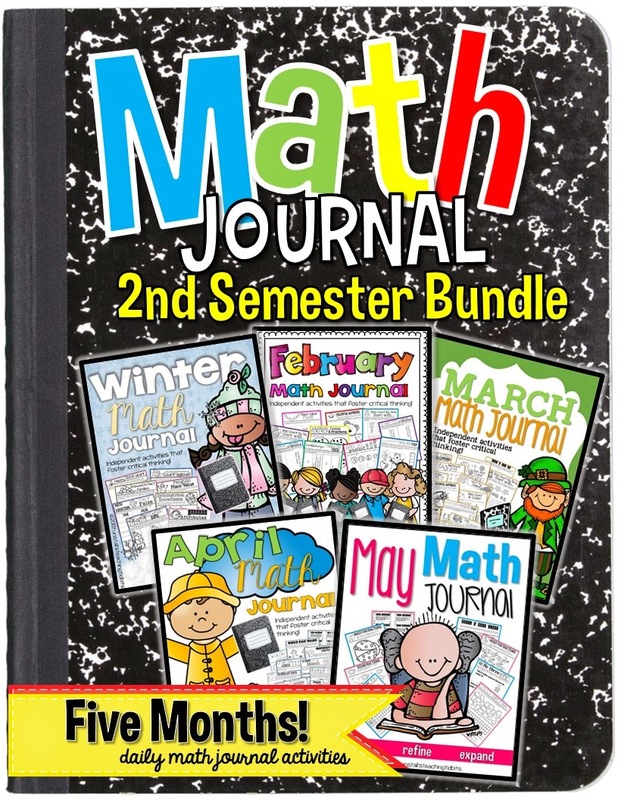 If you are feeling like this is something that might be just right for your class, you can get each month’s math journal separate or grab the semester bundles for savings. Happy Journaling! Fantastic ideas! I am starting the tidy tubs tomorrow! Thanks for sharing! 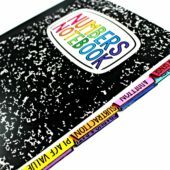 do you have any K journal activities? or can u suggest another teacher on tpt maybe that might? These are SO worth it! 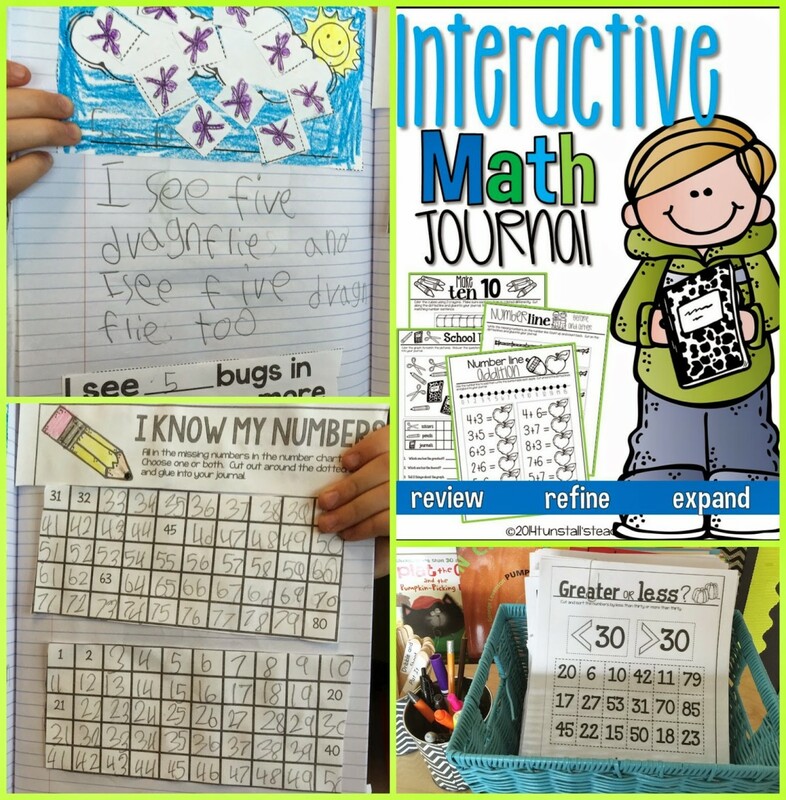 I was struggling with my math stations until I found Reagan's journals and hands-on activities. Even my most challenging students are engaged and working hard during guided math. I used to use these, but I ran into a few problems I'd LOVE your advice on! B. How do they know what to do when it's a station? Interactive journals are so much fun, although it takes my 4th graders a lot of instructional time cutting and glueing items, reducing my small group time. Great idea to use it as a station! It's motivational while still being instructional! Second grade! Second grade! Can you hear me chanting over here? I am drawn to these every time I see them and they are the reason I think I should teach first grade! 🙂 Is there any chance of a second grade set appearing some day 🙂 ? YES! I was looking for this for second grade, as well! We'd love something like this for our second graders. Or any chance that you know someone that may know someone that has a set for our grade level? Any ideas or suggestions for middle schoolers? 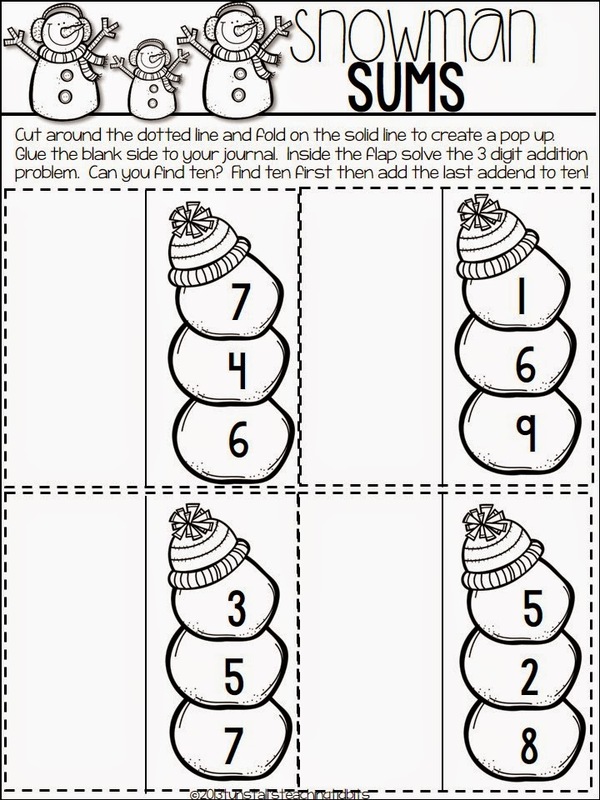 Love the idea of an interactive journal. 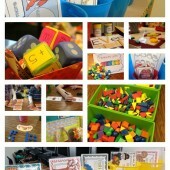 Do you have the Guided math powerpoint or group and picture cards in your TPT store? 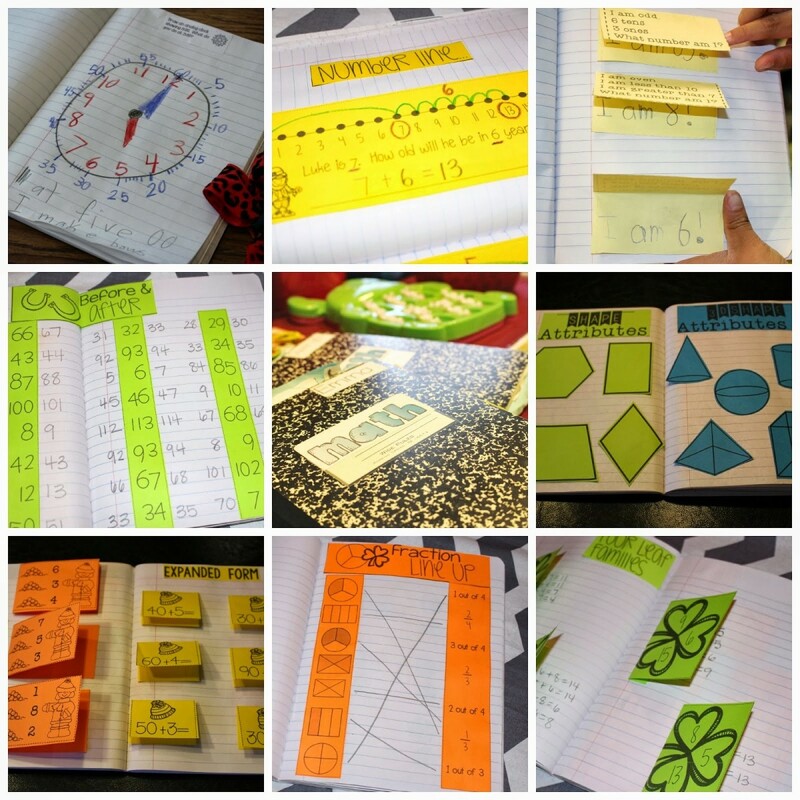 I would love to set up my guided math like this!